What's more exciting? Saturday Night Live returning in October, or Saturday Night Live returning in October and leading into an election year? There's no reason it can't be both. Political parodies have been a shining beacon over the course of Saturday Night Live 's history, and with the 2016 presidential election just over a year away, there's no doubt that this season is going to be chock full of amazing impressions, parodies, and downright ridiculous skits revolving around the candidates. 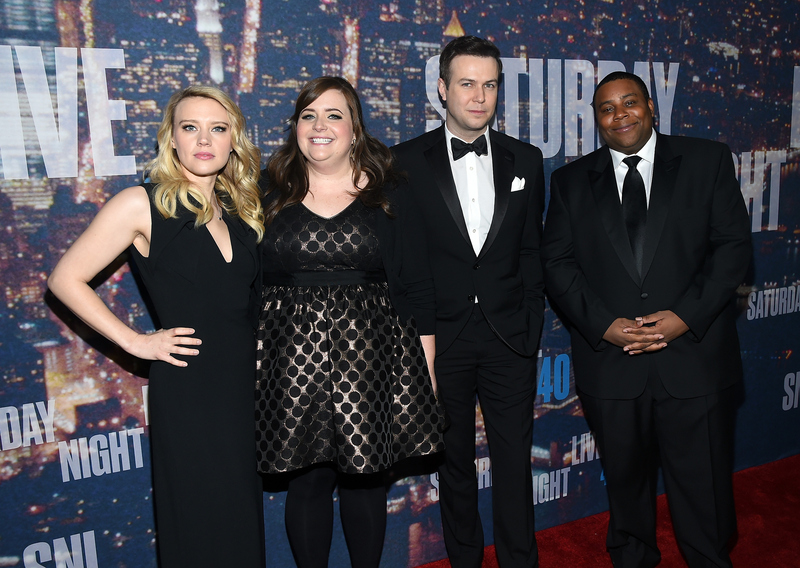 A few SNL cast members have already sunk their teeth into a few presidential candidates. Kate McKinnon has famously covered Hillary Clinton over the past year — to perfection, might I add. But who else should we cross our fingers, toes, and everything else for? Is it possible that some of the old cast members — ahem, Fallon — might, oh, I don't know, come back to play characters we know they're amazing at — cough, Fallon? Can a certain veteran indulge us with a brotherly impression that will make you think it's 2000 all over again? Here are some Saturday Night Live cast members casted as their perfect presidential candidate match. Who should play the younger brother to President George W. Bush? I know what you're thinking, but hear me out. Will Ferrell did such a good George W. Bush that it would be a shame if he didn't give the younger bro a shot, right? So maybe we won't see Jeb Bush all the time during the cold opens, but if Ferrell ever hosted before the election, I know just who he should play. What leading lady would take the cake for Carly Fiorina? There's no doubt in my mind that Vanessa Bayers could nail a Carly Fiorina impression. Bayers might have to retire Jacob the Bar Mitzvah Boy for a year, but I'm sure he'd be OK with that. Who should Lorne Michaels say "You're hired" to when October hits? OK, if Jimmy Fallon is "too busy" with his own show, then Beck Bennett would definitely be the best Donald Trump on cast. There's no question who is going to steal the show with her Hillary Clinton impersonation. One SNL cast member has already snagged the role of Ben Carson on Season 40 of Saturday Night Live. Kenan Thompson already has it covered from that hilarious GOP cold open in May 2015. Bobby Moynihan. Here's a personal favorite SNL Christie of mine to refresh. And finally, Marco Rubio's perfect SNL match? Never forget the real #Watergate. So maybe there's not a perfect match for every presidential candidate, but I think we can see that the cast will have their hands full with some amazing impressions in October when they return to the studio.